April 12, 2017 – Online education takes learning and knowledge to people beyond classroom boundaries, enabling them to pursue their educational goals to boost their skill sets, acquire new qualifications, and ensure career progression.  The online education in the UAE and the wider Arab region continue to go up due to easy accessibility to broadband internet and the presence of multiple, reputed e-learning platforms. According to a study by Docebo, the Middle East's e-learning sector touched USD 570 million in 2016 from USD 450 million a few years ago and is predicted to grow at an annual rate of 9 per cent in the short term. 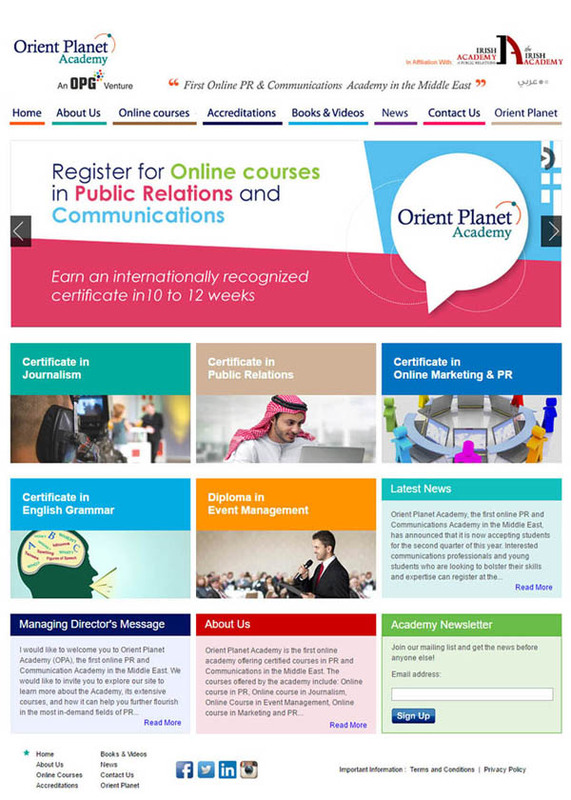 Orient Planet Academy, the first online Public Relations (PR) and Communications Academy in the Middle East, has announced its participation at the Gulf Education and Training Exhibition (GETEX) 2017 to showcase its pioneering online courses in Journalism; PR; Online Marketing and PR; English Grammar; and Event Management. The 29th edition of the Middle East's leading student recruitment show will be held from April 13 to 15, 2017 at the Dubai International Convention and Exhibition Centre. Located at Stand No. P99, Orient Planet Academy will also highlight its Arabic courses, including Certification in Online Marketing and PR and Diploma in Event Management during its second participation at GETEX. In addition, the representatives from the Academy will be present to interact with potential students to provide them with detailed information about the featured courses. Launched in 2014, Orient Planet Academy is a joint venture between Orient Planet PR and Marketing Communications and The Irish Academy of Public Relations. "Following a successful participation at the last year's edition of GETEX, Orient Planet Academy will be present at this year's event to showcase the online courses to students looking to pursue a career in PR, Communications and Events. GETEX is a perfect venue to reach out to prospective students and explain to them the benefits of online education as it is fast gaining popularity in the UAE and the region. Aside from young students, our courses are targeted at professionals and employed individuals who wish to add to their qualification or acquire additional skillsets to stay ahead in the region's highly competitive job market," concluded Nidal Abou Zaki, Managing Director, Orient Planet Group.